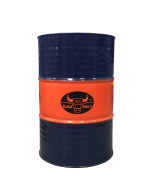 Black Bulls AGRO POWER Engine oil contains 100% virgin base stock formulated with the multiple additives and blended with latest technology; provides superior lubrication for modern as well as older diesel engines. Suitable for use in a wide range of heavy-duty applications and operating environments found in the trucking, construction, and agricultural industries. Heavy duty diesel engine oil for most severe applications of modern on- and off-highway diesel engines. Highly efficient in despersancy and detergency keeps engine clean. Improved low temperature sludge control in frequent stop-and-go service. Reduced oil consumption due to improved high temperature performance.